Entwistle Green are delighted to present this three bedroom semi-detached property. 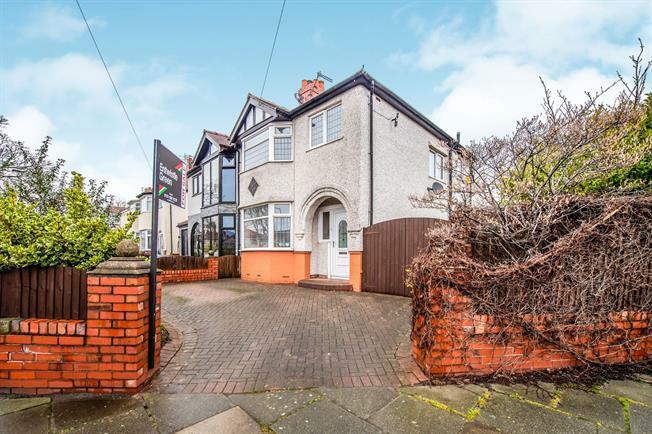 The property briefly comprises of large entrance hall, front lounge currently being used as a fourth bedroom, modern spacious living including, lounge/diner and kitchen. To the first floor there are three bedrooms two of which included fitted wardrobes and a family bathroom. Impressive external space including private driveway and rear garden. Currently used as extra bedroom, large bay window and original fire place. Double radiator. Leading to kitchen and dining, original fireplace spacious living and double radiator. Ceramic wall tiles, gas oven and hob, tiled floor led ceiling lights. Patio doors leading to garden, wrap around double glazing, double radiator. Bath basin, electric shower, floor to ceiling tiles, toilet, sink, radiator, double glazed window. Master bedroom, fitted wardrobes, front double glazed bay window, double radiator. Fitted wardrobes, radiator, airing cupboard, boiler, double glazed double window. Radiator , front bedroom, double glazed window, storage cupboard.